Body Transformation: Right Attitude, Ripped Physique! He embraced the jolly fat-guy mentality to get by, but Kurt's insecurities eventually surfaced. 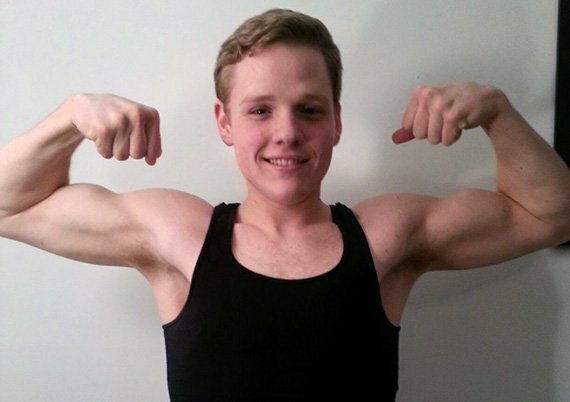 See how he emerged 92 pounds lighter and 100 times more confident! I was a bigger kid growing up, but because I was decent at sports and somewhat athletic I never considered myself fat until the end of 2010. The day I realized I needed to make a change came on December 30, 2010, while on a cruise with my family. My insecurities came out in full force when I walked around in a bathing suit. I never wanted to take my shirt off in front of people and when my shirt was on I constantly pulled and tugged at it and thought everyone was staring at the fat guy. You would have never known I was insecure because I'm one of the jolliest, friendliest, and most easy-going guys; being overweight was part of my personality. I was considered the fat and funny guy, and I embraced it. There was a point on the vacation when my family was ready to go to dinner and I struggled to get off the couch. At that moment, I decided to make a change. I didn't want to lose weight only; I wanted to change my life. I tried to lose weight before but didn't have the knowledge or drive to succeed. I took it seriously this time and made it my New Year's resolution to be a healthier version of myself. My life is much different than it was two years ago. I have the most confidence I have ever had in my life. I'm not insecure about my body anymore and don't think twice if I have to take my shirt off. Before I would eat fast food at least four times per week and the only exercise I got was from sports. I don't get near fast food now and enjoy the meals I cook more than anything. I take a massive amount of pride in my lifestyle and respect anyone who makes a change. My attitude on life changed immensely. When an obstacle or challenge used to occur, I would shut down and avoid the situation. When a similar challenge happens now, I have the determination, dedication, and attitude to tackle it. Transforming is followed by an amazing feeling. I walk around with confidence and people see that I accomplished something great. I hear from people that I motivated them to get fit, lose weight, and be healthier overall. It's satisfying to know I'm a reason that someone wants to live healthier. It makes me feel great to inspire my friends and family members and gives me an incredible amount of motivation to keep going. From day one, my motivation level was a 10. When I wasn't working out or eating healthy meals, I researched or read about health and fitness. Becoming healthy and fit was my life. Some days were harder than others, but I knew the end result was worth more than a lazy day or a few minutes of satisfaction. 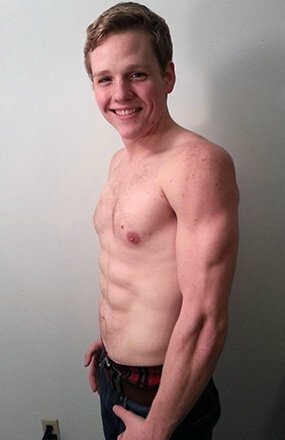 I had constant motivation from family, friends, Bodybuilding.com, and basketball. I credit my inspiration to my older brother who transformed before me. It was inspiring to see someone in my household change their body in front of my eyes. Motivation poured in when people saw noticeable changes. My family showered me with compliments and made me feel like the best-looking guy around. They were a major part of my success, and especially my parents, who helped me financially. They paid for my gym, healthy food, and a majority of my supplements. I couldn't have asked for better motivators. Motivation and inspiration also came from the people I didn't expect to hear from. 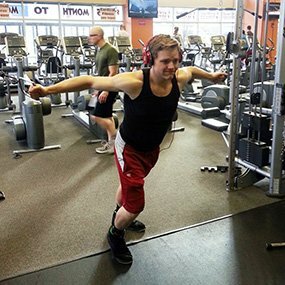 The gym manager and staff at Cardinal Fitness in Bloomington, Indiana, were amazing. They let me know they saw my gains and provided exercise tips. They kept a clean environment and were always friendly, which kept me coming back. There isn't a greater feeling than seeing someone who you haven't seen for months or years post-transformation. Their expressions are priceless and it gives me motivation to keep making more jaws drop. The diet was the most challenging aspect in the beginning. I was always the guy eating constantly, so it was hard to slow down and plan meals. Before I started working out and eating healthy, I ate fast food, chips, candy, and soda all day and never thought twice about it. When I started preparing my own meals, I fell in love with nutrition. Cooking and eating healthy became a reward! 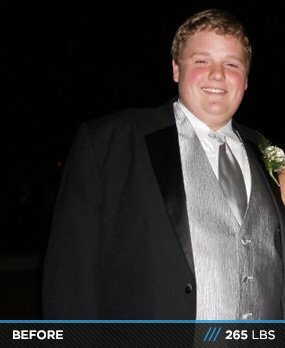 The first year of dieting was tough, but after I learned to spice up food and get creative with meals, I enjoyed eating more than I did at 265 pounds. Fitness was hard at the start, but I went in with the attitude that it would be. The challenge was easy to overcome with the right mindset. Now I can't go more than a day without itching to hit the gym. Nutrition and fitness slowly became my obsession. Although it hasn't been a long-term aspiration to land a job in the fitness world, it has been popping into my head more often. Becoming a trainer or working for a health and fitness company is intriguing. I don't think I will ever compete, but I will keep working toward the perfect body. 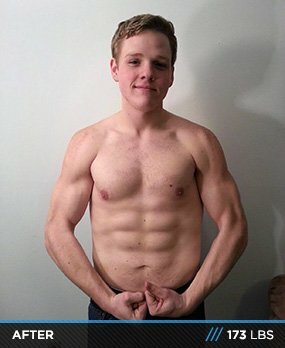 I don't think my transformation would have been possible without Bodybuilding.com. I have the link on my favorites bar and check out the website every day. It was a constant motivator for me to see other transformations and what people took that worked. Every time I went to purchase a supplement or start a new training regimen, I had Bodybuilding.com reviews on-hand or chatted with a great customer service employee.